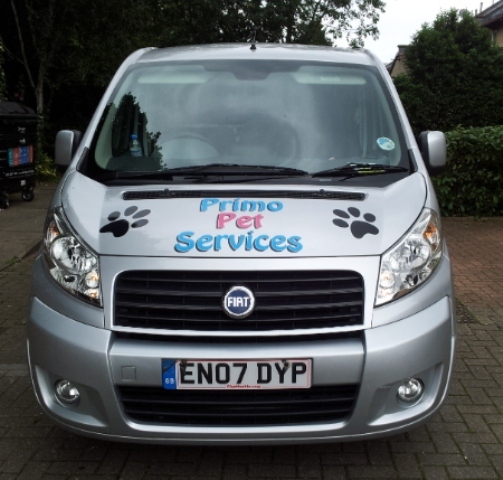 Why leave you dog home all day when you can use one of our walkers to take your beloved dog out? Our small groups of happy dogs enjoy playing in fields together instead of sitting at home watching the door. 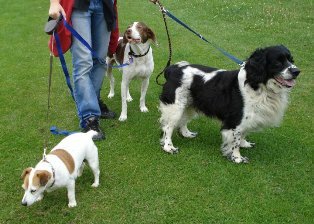 Its really simple to setup our dog walking service to suit you! 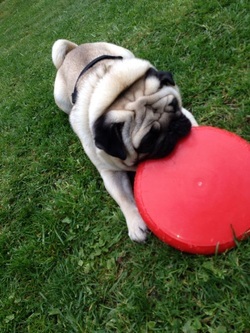 During walks, each and every dog must wear a securely fitting collar and an ID tag. This can be supplied by the walker. Homemade Dog Treat Recipe liver Treats Liver cake is my favourite weapon of choice when it comes to tasty treats. Liver cake is the choice of many obedience and show handlers. Ingredients •1Lb (450g) lamb or ox liver. •1Lb (450g) self raising flour. •3 eggs. •2 cloves of garlic. •milk or water. Method •Crack the eggs into a measuring jug. •Add an equal volume of milk or water to the measuring jug and whisk. •Blend the liver and garlic in a food processor. •Add the egg mixture and blend to a sponge mixture consistency. •Empty contents into a baking tray. •Bake at 180 degrees for 35 - 45 minutes. •Allow to cool. •Liver cake will last about 3 months when frozen.